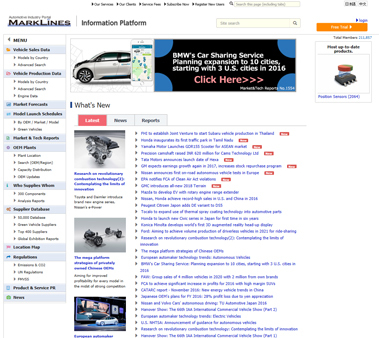 A members only information service that saves companies money and time by providing essential information about automotive production from countries around the world. 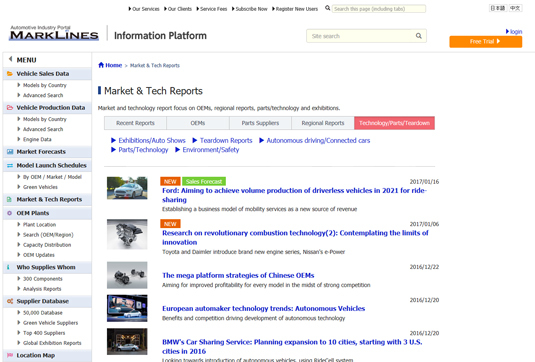 MarkLines provides forecast reports of the automotive market and the industry every month. The report incorporates data from LMC Automotive Ltd., and is released throughout the year. 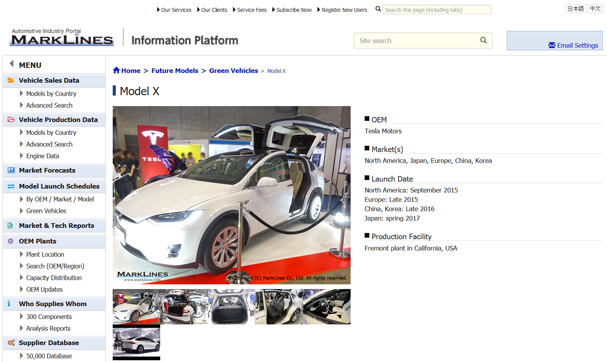 A database of detailed specs and model release plans for around 300 green vehicles (HV/PHV/EV/FCV) that are on the market or currently undergoing development. Every month 8 to 10 reports are posted. Topics include international OEMs, regional trends, exhibitions held around the world (vehicles/components), technology, the environment, safety, and much more. 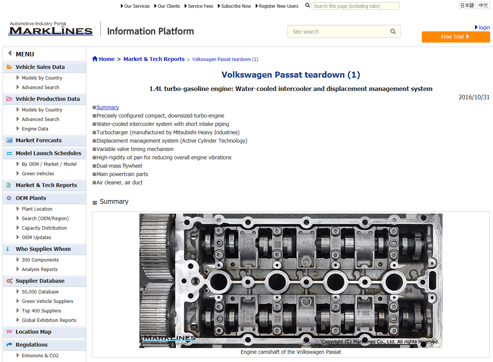 A database for selecting outsource and procurement partners for system solutions like automobile components, processing, dies, materials, CAD, and CAM, as well as other services. 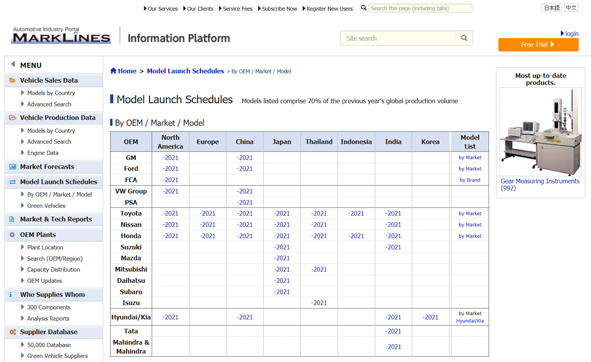 OEM plant data listed by categories including production model, capacity, actual production, and more. 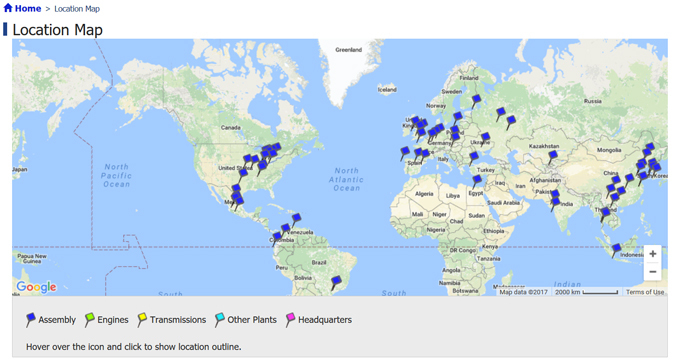 The data can be filtered by OEM and country, and plotted on a map. Market share information filtered by parts. Analysis reports for major components like automatic transmissions, air conditioners, seats, and navigation systems. 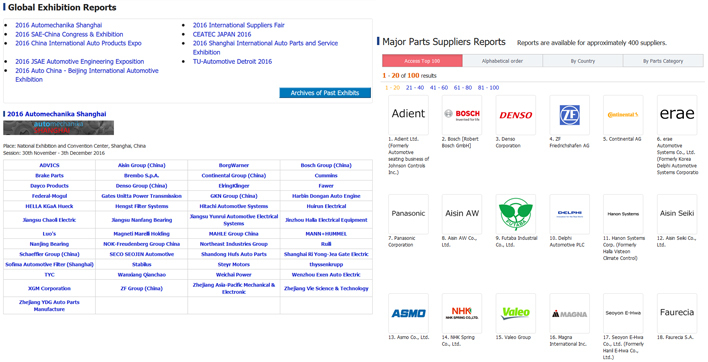 A database that covers the information of around 50,000 automotive parts supply companies around the world, including those in developing countries. 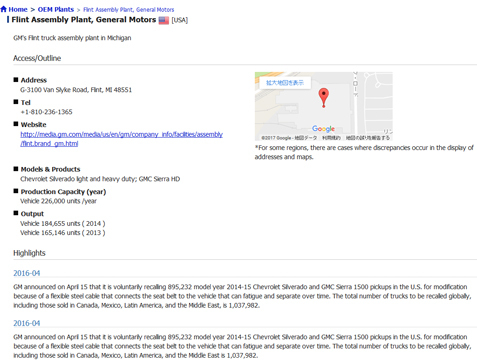 Suppliers can be searched by part name or type (around 1,000 kinds), and the position of their plants plotted on a map. 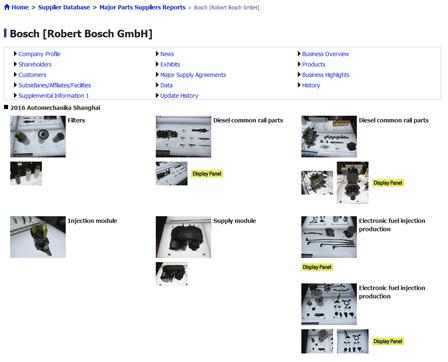 It is possible to search parts by the process used to manufacture them. Detailed reports on major suppliers. This section covers not only business trends and news, but also includes pictures from exhibitions and information on panels. Information on the regulation trends of major countries for emissions and fuel efficiency from Ricardo EMLEG. 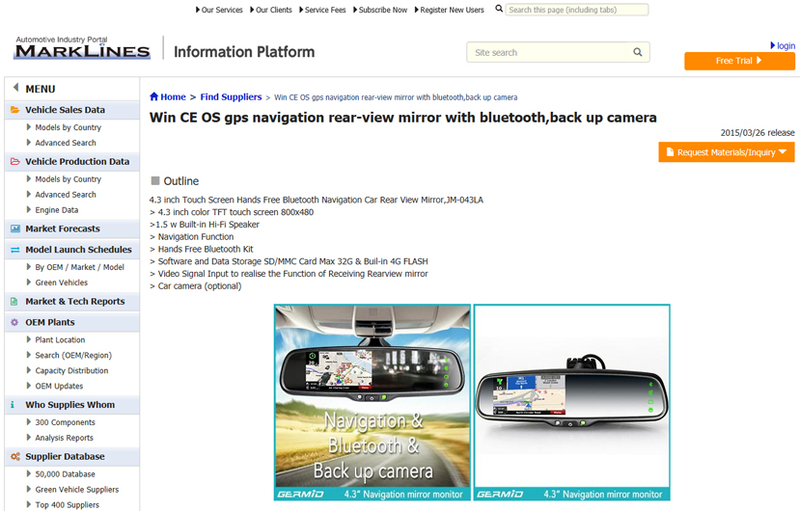 An article search feature is included. 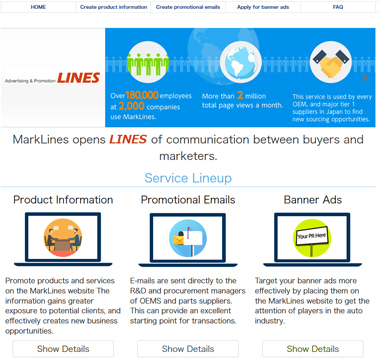 A promotional B2B hub used to market products and services towards targeted audiences at Japanese automakers and tier 1 suppliers.